The Eden motif is a mythological counterpart of a cognitive phenomenon intrinsic to humans, and probably intrinsic in many other examples (none yet known to humanity of course) of biologically evolved life at similar stages of development. This phenomenon springs from dysfunction and errors in computational engines of goal pursuit. Such engines are built around internal fitness metrics, and when these metrics become detached from reality, the engine pursues unrealistic goals. In such breakdowns, the metrics are often reified, so that the individual is chasing its own tail (e.g. transcendental meditation). Goal pursuit engines search for minimal effort methods of progressing toward goal satisfaction; when the constituent mechanisms of efficiency and parsimony malfunction, the individual expects to be satisfied through unrealistic shortcuts. In short, the individual expects to be able to cheat. Whole families of human institutions and ideologies, including all religions, have sprung from these phenomena. The Eden motif itself, and the biblical tale of the flood, are in fact far older than the Bible, dating at least to the civilization of ancient Sumer. 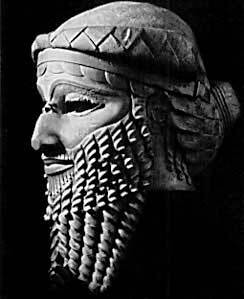 In the Sumerian Epic of Gilgamesh (ca. 2000BCE), King Gilgamesh's noble savage rival and companion Enkidu is reduced from idyllic immortality to civilized mortality through hapless sinful union with a fallen woman. In a subsequent quest for immortality, Gilgamesh finds a magical plant in the sea, but is robbed of his prize by a serpent. Many other details of the tale are echoed in the Hebrew Bible. Edin is the Sumerian word for an uncultivated plain, so that “Eden” (reaching English by way of Akkadian and Hebrew through a chain of lexical borrowing) simply describes lowland geography, like that of present-day southeast Iraq where the Tigris and Euphrates meet (incidentally, in ancient times they reached the gulf separately, but marine regression has exposed a confluence). [...] In the past hundred years, since the discovery of ancient civilizations in modern Iraq, scholars have leaned toward the Tigris-Euphrates valley in general, and to the sites of southern Sumer, about 150 miles north of the present head of the Persian Gulf, in particular (map, above). To this southern Sumerian theory Dr. Juris Zarins, of Southwest Missouri State University in Springfield, would murmur: “You're getting warmer.” For Dr. Zarins, who has spent seven years working out his own hypothesis, believes that the Garden of Eden lies presently under the waters of the Persian Gulf, and he further believes that the story of Adam and Eve in—and especially out—of the Garden is a highly condensed and evocative account of perhaps the greatest revolution that ever shook mankind: the shift from hunting-gathering to agriculture. No single scholarly discipline will suffice to cover the long, intricate road Zarins has followed to arrive at his theory. He began, as many another researcher has, with the simple Biblical account, which “I read forward and backward, over and over again.” To this he added the unfolding archaeology of Saudi Arabia (SMITHSONIAN, September 1983), where he spent his field time for more than a decade. Next he consulted the sciences of geology, hydrology and linguistics from a handful of brilliant 20th-century scholars and, finally, Space Age technology in the form of LANDSAT space images. It is a tale of rich complexity, beginning 30 millennia before the birth of Christ. Of climatic shifts from moist to arid to moist, with consequent migrations eddying back and forth across, and up and down the Middle East. And of myriad peoples. There were hunter-gatherers whom agriculturists displaced. There were prehistoric Ubaidians who built cities, Sumerians who invented writing and the Assyrians who absorbed Sumer's writing as well as its legend of a luxuriantly lovely land, an Eden called Dilmun. Finally there were Kashshites in Mesopotamia, contemporaries of the Israelites then forming the state of Israel. There are two crucial if approximate dates in reconstruction. The first is about 30,000 B.C., with the transition from Neanderthal to modern Man. This, some anthropologists believe, took place along the eastern shore of the Mediterranean and Aegean seas and in Iraq. At that time the Great Ice Age still held most of Eurasia in its grip, and it caused the sea levels to fall by 400 feet so that what is now the Persian Gulf was dry land, all the way to the Strait of Hormuz. It was irrigated not only by the still-existing Tigris and Euphrates but also by the Gihon, the Pison and their tributaries from the Arabian peninsula and from Iran. It seems reasonable that technologically primitive but modern Man, in his endless search for food, would have located the considerable natural paradise that presented itself in the area where the Gulf now lies. But Eden wasn't born then. That came, Zarins believes, about 6000 B.C. In between 30,000 and 6000 B.C., the climate varied. From 15,000 B.C., rainfall diminished drastically. Faced with increasing aridity, the Paleolithic population retreated, some as far as the area known to us as the “Fertile Crescent” (north along the Tigris and Euphrates, westward toward the moist Mediterranean coast, south to the Nile), and also eastward to the Indus River valley. Others, perhaps wearied by the long trek, made do with the more austere conditions of central Arabia and continued foraging as best they could. Then, at about 6000 to 5000 B.C., following a long arid stretch, came a period called the Neolithic Wet Phase when rains returned to the Gulf region. The reaches of eastern and northeastern Saudi Arabia and southwestern Iran became green and fertile again. Foraging populations came back to where the four rivers now ran full, and there was rainfall on the intervening plains. Animal bones indicate that in this period Arabia had abundant game. Thousands of stone tools suggest intensive, if seasonal, human occupation around now dry lakes and rivers. These tools are found even in the Rub al-Khali or Empty Quarter of Saudi Arabia. And so about 6000 to 5000 B.C. the land was again a paradise on Earth, provided by a bountiful nature—God—and admirably suited to the foraging life. This time, however, there was a difference: agriculture had been invented. Not overnight—“It was a very gradual process, not an event,” Zarins emphasizes. It grew up along the Mediterranean coast and in today's Iran and Iraq as groups of hunter-gatherers evolved into agriculturists. Foragers from central Arabia, returning to the southern Mesopotamian plain, found it already resettled by these agriculturists. Because the process occurred before writing was invented, there is no record of what upheavals the evolution caused, what tortured questions about traditional values and life-styles, what dislocations of clans or tribes. Zarins posits that it must have been far more dramatic than the infinitely later Industrial Revolution, and an earthquake in comparison with today's computer-age discombobulation of persons, professions and systems. The crunch came, Zarins believes, here in the Tigris and Euphrates valleys and in northern Arabia, where the hunter-gatherers, flooding in from less hospitable regions, were faced with more technically accomplished humans who knew how to breed and raise animals, who made distinctive pottery, who seemed inclined to cluster in settled groups. Who were these people? Zarins believes they were a southern Mesopotamian group and culture now called the Ubaid. They founded the oldest of the southern Mesopotamian cities, Eridu, about 5000 B.C. Though Eridu, and other cities like Ur and Uruk, were discovered a century ago, the Ubaidian presence down along the coast of Kuwait and Saudi Arabia has been known for little more than a decade, when vestiges of their settlements, graves and distinctive pottery turned up. It was in Saudi Arabia that Zarins encountered the Ubaidians, and there that he began developing his hypothesis about the true meaning of the Biblical Eden. One clue lies in linguistics: the term Eden, or Edin, appears first in Sumer, the Mesopotamian region that produced the world's first written language. This was in the third millennium B.C., more than three thousand years after the rise of the Ubaid culture. In Sumerian the word “Eden” meant simply “fertile plain.” The word “Adam” also existed in cuneiform, meaning something like “settlement on the plain.” Although both words were set down first in Sumerian, along with place names like Ur and Uruk, they are not Sumerian in origin. They are older. A brilliant Assyriologist named Benno Landsberger advanced the theory in 1943 that these names were all linguistic remnants of a pre-Sumerian people who had already named rivers, cities—and even some specific trades like potter and coppersmith—before the Sumerians appeared. Landsberger called the pre-Sumerian language simply Proto-Euphratian. Other scholars suggest that its speakers were the Ubaidians. However it was, the existing names were incorporated into Sumerian and written down for the first time. And the mythology of the lush and lovely spot called Eden was codified by being written. How did it happen that an advanced people would perpetuate a myth making their own ancestors the sinners? It may be that the Ubaidians, who are known to have sailed down the east coast of Arabia and colonized there, ran into descendants of foragers displaced from a drowning Eden, from them heard the awful story of the loss of paradise and repeated it until it became their own legend. Or it may be that, responding to the increasing pressures and stresses of a society growing in complexity, they found comfort in a fantasy of the good old days, when life had been sweeter, simpler, more idyllic. However, it was a tale firmly established in Ubaidian mythology, then adopted and recorded by the Sumerians. Long before Genesis was written, Zarins believes, the physical Eden had vanished under the waters of the Gulf. Man had lived happily there. But then, about 5000 to 4000 B.C. came a worldwide phenomenon called the Flandrian Transgression, which caused a sudden rise in sea level. The Gulf began to fill with water and actually reached its modern-day level about 4000 B.C., having swallowed Eden and all the settlements along the coastline of the Gulf. But it didn't stop there. It kept right on rising, moving upward into the southern legions of today's Iraq and Iran. Their original “Eden” was gone but a new one called Dilmun, on higher ground along the eastern coast of Arabia, enters the epics and the poems in the third millennium i.e. The by then ancient mythology of a land of plenty, of eternal life and peace, had lodged firmly in the collective mind and in a specific geographical area. 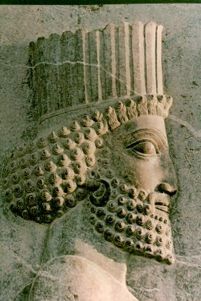 “Adamu” is the name in Sumerian mythology for the first man, created by “Enki”, the creator god and inventor of civilization. Adam is Hebrew for “man”, and adamah is a Hebrew word signifying dust and earth, and in Aramaic signifying blood. Havva — Hebrew for “Eve” — in Hebrew signifies life. In the Sumerian myth, magical food is the source of immortality, not the source of its downfall, and Adamu is tricked to not eat it (the gods tell him it is poisonous), and thereby remains mortal. The Hebrew biblical account also describes such a life-giving magical food — the food of the “tree of life”, distinct from the forbidden “tree of knowledge of good and evil” — and it is chiefly to deprive them of the immortality bestowed by the fruit of the tree of life, that God exiles Adam and Eve from the garden. The tale of Cain and Abel (Genesis 4:1-16) parallels tales in Sumerian mythology of rivalries between farmer and herder gods. Genesis 11:26-31 and 17:5-8 teach that Abraham himself, vaunted father of nations, is a native of the Sumerian city Ur (southeast Iraq, near the ancient mouths of the Tigris and Euphrates) under Chaldean suzerainty, growing up there some time in the second millenium BCE, and departing for Canaan (Israel and environs). Abraham's father Terah adhered to the Sumerian mythology, and was a maker and seller of idols, but Abraham rejected polytheism and his father's idols, and managed a remarkable escape from the Chaldean king's sentence of death for his heresy. Joshua 24:2 records the break: “And Joshua said unto all the people, Thus saith the LORD God of Israel, Your fathers dwelt on the other side of the flood in old time, even Terah, the father of Abraham, and the father of Nachor: and they served other gods.” In any case, the similarity of the Torah's cosmogony to the Sumerian epic may be evidence that the biblical tales of Abraham are at least partially historical. Monotheism was first consolidated in the nation of Judah by King Josiah (reigned ca. 641-609 BCE). But soon thereafter, the Chaldeans sacked Jerusalem and forced the Hebrews into exile in Babylon (597-538 BCE), under king Nebuchadrezzar II (605-562 BCE) and his successors. This captivity culminated in the syncretion of proto-Judaism with the Zoroastrianism of their Persian liberator, and the commitment of the Torah to writing. Zoroastrianism, founded ca. 750 BCE, is incidentally but one representative of the descendents of a common prehistoric Indo-European religion; among the other representative mythologies are Hindu, Norse, Greek, and Roman. Zoroastrianism contributes to the Eden myth the very word “paradise”, deriving from the Avestan (Old Persian) pairidaēza. This was the term used in Zoroastrian Persia to refer to the king's enclosed garden parks. The Hebrew in Genesis 2:8 for “garden of Eden” is gan-be'Eden — gan signifies not just a garden, but a walled garden, and Eden is not just a proper name, but a Hebrew term for “delight”. The garden motif even draws direct inspiration from Nebuchadrezzar II, who (according to legend) built “hanging gardens” in Babylon to please his homesick wife Amyitis, daughter of Median king Cyaxares (625-585 BCE). The Medes commanded a vast and verdant pre-Persian, partly Zoroastrian empire east of Chaldea, and the marriage cemented an alliance of the two empires. In fact the Old Persian pairidaēza is believed to have its root in the Mede language, which was in any case quite similar to Old Persian and the other Indo-Iranian languages of the region. It seems inescapable that, to arrive at the creation mythology articulated by the postexilic authors of Genesis, the Hebrews conflated their ancestral Sumerian cosmogony and cultural inheritance, tales of the Zoroastrian king's idyllic garden in the east, and the Zoroastrian doctrine that the world created by Ahura Mazda was a paradise, spoiled by the evil Ahriman, but to be restored to its paradisiacal condition in the eschaton, as prophesied by Zoroaster. Before this syncretion, neither Satan nor the divine messiah (nor a great many other key doctrines) existed in the Judaic canon — all supernatural acts and promises were attributed directly to the covenant god Yahweh (or, before Josiah's monotheistic edicts, to any number of gods in a heterodox pantheon). The Hebrews were surely inclined to sympathy with the Zoroastrian worldview, because it was the Zoroastrian king Cyrus the Great (reigned ca. 546 to 529 BCE), imperial uniter of the Medes and Persians, who delivered them from their Chaldean captivity, and instigated construction of the second Temple in Jerusalem. Isaiah 44:28-45:1 records a sympathy so great it smacks of open kinship: “That saith of Cyrus, He is my shepherd, and shall perform all my pleasure: even saying to Jerusalem, Thou shalt be built; and to the temple, Thy foundation shall be laid. Thus saith the LORD to his anointed, to Cyrus, whose right hand I have holden, to subdue nations before him”. In 538 BCE, Cyrus commissioned the Judaic prince Sheshbazzar to lead the return to Jerusalem, and carry back the sacred vessels confiscated by the Chaldean empire at the start of the exile. As told in the first chapter of the Book of Ezra, the universal god of the Israelites and the universal god of Cyrus are the same god: “Thus saith Cyrus king of Persia, The LORD [“Yahweh”] God [“Elohim”] of heaven hath given me all the kingdoms of the earth; and he hath charged me to build him an house at Jerusalem, which is in Judah.” Under the patronage of the ardently Zoroastrian king Darius (reigned 521 to 485 BCE), Zorobabel (also transliterated Zerubbabel, as in the Book of Haggai) in ca. 520 BCE led another company of Babylonian Hebrews back to Jerusalem, assumed governorship of the city under royal dispensation, and completed the second Temple. Zorobabel is mentioned in Matthew 1:12-13 as a 29th generation lineal descendent of Abraham, and a tenth generation lineal ancestor of Joseph (husband of Mary, mother of Jesus of Nazareth), though this account is immediately suspect because it requires fifty year generations between Zorobabel and Joseph. In any case, in the immediate postexilic period, there is no clear boundary, either political or religious, between the Zoroastrian establishment and the tribes of Israel. It was during this period that the Torah was committed to writing. Moreover, the “wise men from the east” of Matthew 2:1, the pilgrims come to Israel to pay homage to the infant Jesus, are in fact emissaries of the Zoroastrian court of Persia (magi), come to honor the child they believe is the Zoroastrian messiah. Regardless of the historicity, this account continues the biblical pattern that considers messianic Judaism and Zoroastrianism to be the same religion. While it might be coincidental, the Star of David, now the centerpiece of the national flag of Israel, was an important symbol in Zoroastrian astrology. At its mythological root paradise was almost certainly believed to be in the celestial heavens, coming to prehistoric earth only through narrative modification. The words for heaven and for paradise are the same in a great many euroasiatic languages, including the Indo-European languages, Hebrew, and Korean. As Islamic scholars understand it, the Qur'an places Eden itself in heaven, so that it can only be reached through death (particularly, by martyrdom). Correspondingly, Islamic doctrine holds that the forbidden fruit of Eden was in fact ineffectual, and it was the devil who tempted a mortal Adam to eat it, telling him falsely that it would give him immortality, whereas his betrayal of god simply led god to eject him from paradise. Thus there are three principal permutations of the myth. In the first, the Sumerian version, a mortal Adam is in an earthly Eden, and a life-giving fruit is not eaten, due to divine trickery. In the Judeo-Christian version, an immortal Adam is in an earthly Eden with two fruit trees, one giving the immortal life of a god, the other a forbidden one giving the vision of a god, eaten at the instigation of a diabolical serpent (divine trickery). In the Islamic version, a mortal Adam is in an ethereal Eden, and a false fruit is eaten at the instigation of the devil. The confusion of earthly and heavenly paradise recurs within and between the extant religious canons (including the Indic canons), facilitating acceptance of the Edenic movement's promise of earthly paradise. For example, in America, some radicalized Muslims are explicit Edenists (this is the Taliyah movement, broached below in the Keeping Eden Green chapter). Though for utopians frank introspection and circumspection is generally alien, they stand to learn a great deal about their movement from an appreciation that in most of the world, for most of history, paradise has been associated with death, and in particular, with the end of life.